Who is the Best Software Asset Management Provider in the Industry? Every few years, someone will post on LinkedIn or ask at a Software Asset Management (SAM) conference who the best SAM provider is in the industry. Inevitably many different SAM providers argue that they are the best. It is a good question to ask, yet reminds me of when my son at the age of 5 would ask me who was the fastest runner in the world, or the best athlete. Wanting some professional assistance is a sign of desire to get better, which is a good sign. Yet, if someone is sick, they don’t Google search who is the best physician. The answer is, “it depends”. 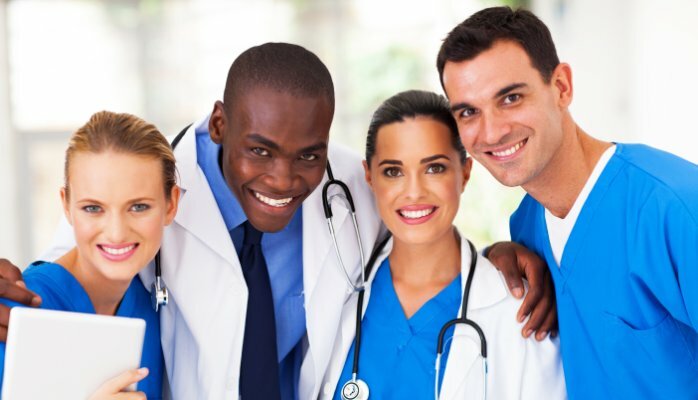 The United States employs about 8 million people across more than 120 medical specialties in the healthcare industry. No one doctor is licensed to be your general practitioner and cancer and infectious diseases and neurology and prenatal and orthopedic physician. Yet data centers look for that one SAM provider who can answer all those questions plus provide a good repository to track all your software contract, pricing and deployment history. There is a great need for the General Practitioner physician. That is the doctor you use for your initial consultation. They are the doctor that you have a good relationship with, who can answer your basic questions, answer and assist with many of your needs and direct you to a specialist if necessary. However, they can’t personally run medical tests, analyze the results with the latest medical technology, and tell you the latest in oncology research and treatment. In Software Asset Management, the General Practitioner may write lots of White Papers, Research Notes and take general consulting phone calls. They, like a medical General Practitioner, play an important role, but only represent the first step in developing a successful SAM program. The Lab Technician in SAM is the person who may take the tests (either blood, liver, heart etc.) and then has the specialized training to test the data from the tests against industry norms to determine the health of the patient or the severity of the illness. The results are the basis for the prescribed treatment. The best physicians in the world depend on the Lab Technician and their ability to provide tests, analysis and accurate diagnosis of the problem. My brother is a doctor in Africa who graduated from the top medical school in North America, studied under renowned medical programs on three continents, and published in the most prestigious medical sources globally. Yet, he has said that he often provides diagnosis and prescriptions in the dark because he doesn’t have access to a qualified medical lab. His training and experience are often of limited value because of the lack of a medical lab that can run tests, analyze the results and provide accurate measurements. Data centers often are the same. Even the best SAM managers yield limited results when they do not have access to lab data of acceptable industry standards. Even if someone starts with a good general practitioner physician supported with the best lab, if the diagnosis requires specialized expertise (e.g. cancer, heart disease etc. ), a highly experienced medical specialist is necessary. No reasonable general physician is going to claim to be as equally knowledgeable about the latest in cancer research and treatment as the oncologist. A data center must know when to call in the SAM specialist. A software reseller that built a name as former Microsoft employees doesn’t mean they are qualified to manage IBM or Oracle licenses. As you wouldn’t depend on the expertise of an oncologist to prescribe physical therapy, don’t depend on a former IBM rep to assist with Microsoft licensing optimization. The physical therapist is essential to all data centers. Like a normal medical PT, he/she is the individual that works with you every day, helping you to get your body back to its working condition. They know what works and how to get the sore joints healthy. They usually aren’t known for their “white papers” but know how to work with you to improve mobility and reduce pain in a recovery plan. Every data center needs that physical therapist. Someone to hold your hand, monitor progress, and help you grow a healthy data center. Lastly, as with every hospital or medical clinic, there is a tremendous need for the individual who tracks your records. The person who has your medical history on file, can recover when you had your last tetanus shot and when you need another physical exam. That person is the keeper and manager of your health data. In SAM, that person is the individual that tracks your IT inventory, relevant T&Cs, and financial obligations. So as in healthcare, don’t try to create the perfect SAM program by only hiring a renown general practitioner or medical specialist. Don’t expect to realize your fullest potential by having a single centralized managed repository. Don’t think that having the best oncologist in the world will help you with your heart issues. Look at everyone in the industry. Measure their strengths and understand their specialties. Only then will you be managing your SAM in an outcome-based model which is the only way to get the maximum value of your software at the lowest possible costs.